Horizon 2020 is probably the most attractive R&D support programme, sponsored by the EU and running for seven year (2014-2020). It offers some € 80 bn. The programme covers innovative endeavours in all areas, with stress on SMEs and societal aspects of science & technology. Projects funded by Horizon 2020 are covered, mostly, in full (100%) with another 20% automatic overhead. 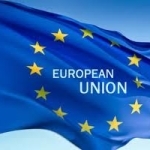 The programme is open not only to the EU Member States and Associated Countries (e.g., Israel, Norway, Switzerland, etc. but also to other international partners. See also our Horizon 2020 dedicated Section. You can also contact us for further details. There are several US funding agencies and grants that can be available also to non-Americans, usually in collaboration with US entities. These include NIH Grants, DoD Grants, USDA Rural Development Grants and quite a few other grants offered by Federal Departments (e.g., Dept. of Education; Dept. of Housing & Urban Development; Dept. of Transportation; Dept. of Health and Human Services; Environmental Protection Agency; Dept. of Homeland Security; Federal Emergency Management Administration and more). These include such funding sources as the DTI Grants; Medical Council Grants; Proof of Market Grants (aimed at testing the commercial potential of an innovative idea or new technology); Proof of Concept Grants (aimed at the exploration of the technical feasibility and commercial potential of a new technology, product or process); Development of Prototype Grants (aimed at the development of technologically innovative product, service or industrial process), and more. There are quite a few bi-national grants that are managed by designated authorities (e.g., Ministries of Science or Trade) that encourage partnership between two countries (e.g., Israel & most European countries, Korea, Singapore, USA and more; Denmark and most European countries and third countries and more). In addition to these, there are EU managed programmes that allow funding of projects with participation of two or more countries (e.g., Eureka, EuroStar, etc.). International organisations run on-going and occasional programmes that support R&D projects. 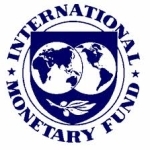 These include the World Bank and the IMF, Regional (continental) banks (e.g., European Developmental Bank, African Development Bank, Latin America Development Bank, Asian Development Bank, etc.) UN & UN agencies and more. In addition to the international and binational grants, quite a few countries have their own R&D support programme, any of which are open to partnership with organisation of third countries.